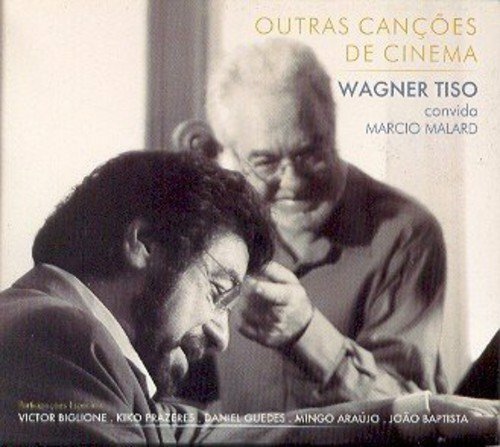 O novo trabalho do maestro Wagner Tiso contempla obras consagradas do cinema, como temas para ‘O Guarani’, ‘Os Desafinados’, ‘O Toque do Oboé’, entre outros mais. Para isso, convidou o violoncelista Marcio Malard para acompanhá-lo nas interpretações com mestres como Victor Biglione e Kiko Prazeres. A direção artística também fica por conta de Wagner, que explora seu potencial brasileiro de compor, renovando-se com a justeza de seus arranjos. 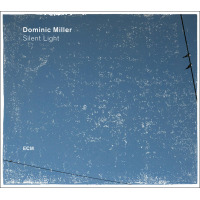 Dominic Miller is a guitarist you've undoubtedly heard somewhere or other, whether you've knowingly heard of him or not. A life circling the globe (from Argentina to England and currently France) has let him absorb folk, Baroque and Latin American sensibilities, among other things, which leads to collaborations with similarly eclectic names. His widest exposure has been with numerous tours alongside Sting, who's happy to offer some poetic words of praise in the liners here alongside Paul Simon. Miller's ECM label debut offers a pleasant spin through some colorful tones of the places his travels have taken him. The album starts off building a slow circular pattern, hinting at something middle-Eastern with a sinuous minor key and light hand percussion chiming along in the background. The soft earthy touches set a leisurely pace at which the rest of the recording sparsely unwinds—the plucking of nylon strings brings out Spanish or classical shadings throughout, and the mostly-solo format makes sure the music always has space to echo and breathe. The mysterious vibe manages to stay subtly alluring for the most part, even if a couple spots drift toward what you might call easy-listening territory (mainly with a peaceful new-agey take on Mr. Sumner's staple "Fields of Gold"). Close friend Miles Bould plays his background role using the aural equivalent of pale watercolors: a little pattering of shaker in "Water," for instance, or light cymbal splashes through the coasting groove of "En Passant." They both step it up with the skittering "Chaos Theory," which overdubs the pair playing with jaunty staggered timings and still effortlessly keeping in step. It makes the disc's liveliest moment while disrupting the contemplative vibe not at all. Silent Light is a recording as peaceful and evocative as its title suggests: exotic motifs convey moods from several continents, chord structures can be left ambiguous or implied rather than stated, and extra sounds are sprinkled around with a light touch only where they're judged to add something. Dominic Miller's quiet travelogue is one that finds its most successful moments in giving hints as much as in showing or telling. What You Didn't Say; Urban Waltz; Water; Baden; En Passant; Angel; Chaos Theory; Fields of Gold; Tisane; Valium; Le Pont. Dominic Miller: guitar, electric bass; Miles Bould: percussion, drums. Don't hate him because he's popular...or because of his sundry talents. Andre Previn may be best known as a conductor of symphony orchestras and as a film soundtrack composer, but he's a well-established jazz pianist as well. Previn's style is melodious and easygoing (influenced by piano masters Bud Powell and Oscar Peterson), but he can swing up a storm when he wants to. On ALONE, however, the mood is decidedly relaxed and touched with nostalgia as Previn embraces a set of emotionally charged standards. Songs like "Angel Eyes" and "I Can't Get Started" are timelessly poetic, while the sly "Andre's Blues" displays Previn's lighthearted side. 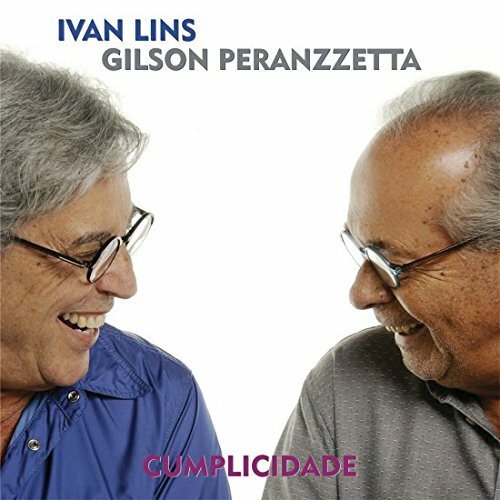 É justo e natural que o álbum lançado hoje, 26 de janeiro de 2018, por Ivan Lins com Gilson Peranzzetta seja intitulado Cumplicidade. Afinal, a partir da segunda metade da década de 1970, a trajetória do cantor, compositor e músico carioca se tornou muitas vezes indissociável do toque do piano e dos arranjos desse compositor, músico e arranjador (também) carioca. A afinidade musical foi tamanha que Ivan e Peranzzetta viraram parceiros em composições como Setembro, lançada pelo cantor em 1980 no álbum Novo tempo e reapresentada pelo arranjador em 1985 no álbum solo Portal dos magos, editado um ano após o disco coletivo Juntos(1984), assinado pelo cantor com Peranzzetta e com Vitor Martins, o parceiro mais frequente e mais importante de Ivan. Em Juntos, Ivan recriou sucessos do cancioneiro composto com Vitor Martins em duetos com cantores como Djavan, Elba Ramalho, Simone e Tim Maia (1942 – 1998). Em Cumplicidade, álbum produzido por Eliana Peranzzetta e editado pela gravadora Fina Flor, Ivan e Gilson se juntam novamente, sem solistas convidados, para reviver músicas do cancioneiro autoral de Ivan. O disco é o registro de show apresentado pelo duo em várias cidades do Brasil ao longo de 2017. Assim como no LP Juntos, as parcerias de Ivan com Vitor Martins são o mote do repertório do álbum Cumplicidade, mas Peranzzetta é coautor de Temporal (1978) e da globalizada Love dance (1981), música originalmente intitulada Lembrança e revivida em Cumplicidade com a letra em inglês de Paul Williams que se fez ouvir nos Estados Unidos a partir de 1988. Setembro, claro, integra o repertório deste disco em que Ivan rebobina com Peranzzetta músicas emblemáticas como Abre alas (Ivan Lins e Vitor Martins, 1974), Começar de novo (Ivan Lins e Vitor Martins, 1979) e Madalena (1970), samba-soul da parceria inicial de Ivan com Ronaldo Monteiro de Souza.